You gotta love when the addiction factor of crocheting goes up a notch. This is what’s happening to me with experimenting with felting. First you get to get in the meditative zone of making something and then you get to change it all up, shrink it, stretch it, and it’s something different. Love! After tackling a practice felted crochet swatch, it was time to try something bigger but still easy enough for a beginner’s felting project. My original goal was to make a bath mat, but I soon learned that a felted crochet of knit piece will keep felting if you add the ingredients of the felting recipe: fiber that can be felted, hot water, agitation, soap. Thankfully, felted wool repels dirt and odors so it rarely needs to be washed. Unless you’re using it in your bathroom, which then sure, you should wash it. So, no bath mat! And you know I figured this out after completing the project, right? It’s now an area rug, and I like it better that way. From the practice swatch, I realized the wool shrank 1.5” for every 5” of fabric. So for every 10 inches of fabric I wanted to have in the end, I needed to add on 3 inches. To get a rug 34″x20″ roughly, the rug before felting should be 45″x26″. Use this as a rough guide, but please do a practice swatch to get a feel for how the fiber you choose will felt in your machine. For this project, I used using Patons Classic Wool in Wedgewood, a worsted weight yarn (where to buy). The whole rug is worked in half double crochet through both loops. I used about 3 skeins and another 1/3 of a fourth skein. I really like this colorway, but truth be told, I’m mystified by variegated yarn. 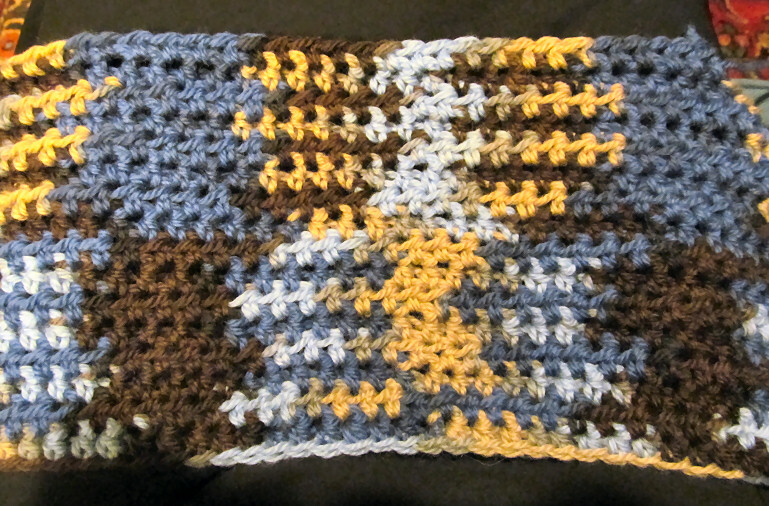 It seems to come out so well with knitting, but crocheting with variegated yarn seems to be tricky. At first the color was pooling one way. I tried crocheting with a looser gauge and it just started pooling another way. So next I tried varying my gauge inconsistently, every so often for a few stitches. This made the colors lined up more randomly. 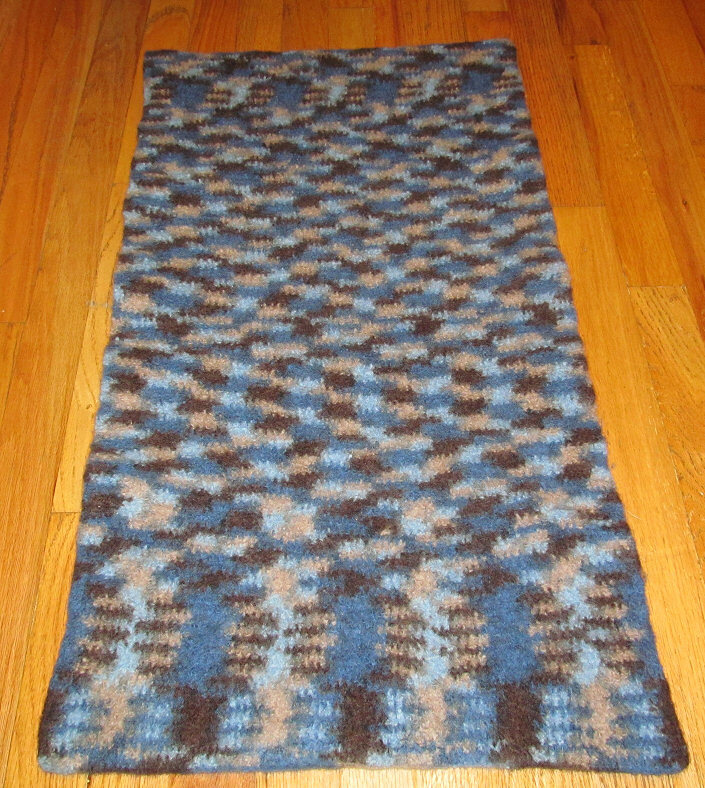 Here is the pre-felted rug 26″x45”, ready to go! I let it run through 3 full hot wash cycles, 45 minutes total. This ended up being too long. Ten minutes or so less would have been great. Your mileage may vary, so keep an eye on it. Lesson learned! You really do have to check it every 5 minutes. Last step is to block. 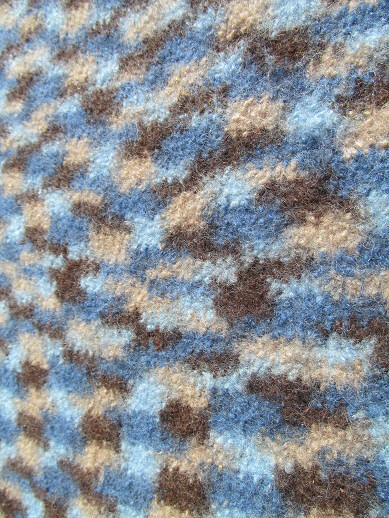 If your felted rug comes out too small, but close like mine did, stretch and pin and repeat. You will be able to stretch it into a rectangle close to the size you wanted. Felted wool seems to take a lot longer to air dry than anything I have blocked before. I left it out in the sun for a full day. The finished size ended up being 32″x17″. I was worried it was going to look wonky, but I think felting toned down the pooling well. I’m really happy with the way it came out. The corners are a little over stretched, but good enough. In the end, we are using it as a small area rug. The kids say it is really warm to sit on in the sun. 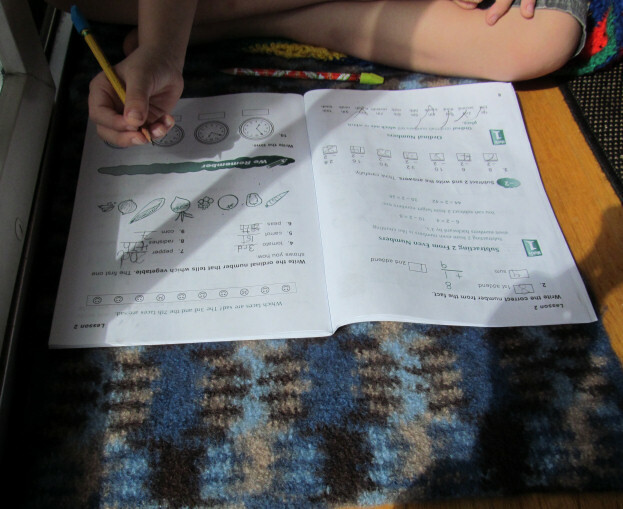 My Middle one has taken to doing his math work by the window on it and his brother wants a big one – as in huge – in camouflage yarn. He just might get it sooner or later. 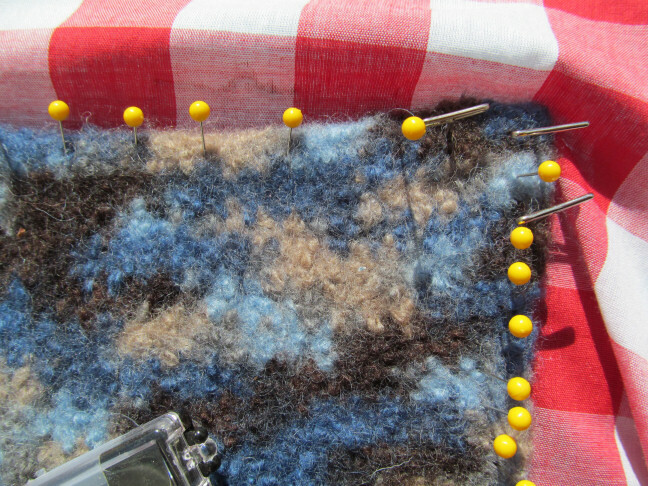 Have you experimented with felting your crochet or knit work yet? What would you like to make? Giveaway! 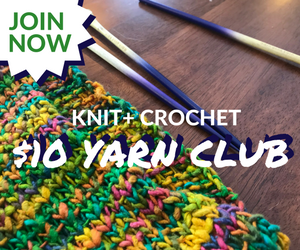 Enter to Win a Free Crochet or Knitting Class from Craftsy! Have you tried planned pooling? 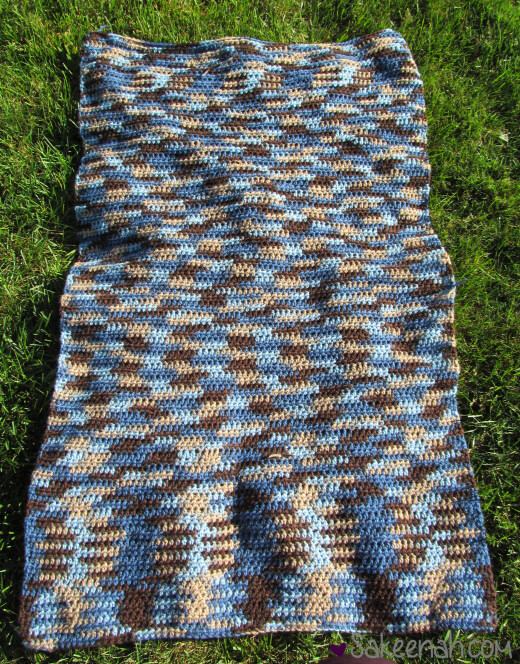 Most variegated yarns can produce an argyle effect using moss stitch. Hi Cassandra, I haven’t tried it yet, but I have seen it pop up on Pinterest so much lately that I’d love to give it a try. Thanks for the suggestion to use moss stitch, it sounds like a fun project. oh turned out so good! The pooling looks great in the finished project too so you worried for nothing 😉 I haven’t tried felting anything yet, nervous about it so glad to hear how it worked out for you. Thanks for sharing with us @ Snickerdoodle! This is such a great idea! I love to see the differences in pooling when you tested changing your tension. I tried to felt some really cute slippers once, and didn’t realize how much yarn it would use, so I switched up the yarn, forgetting it all needed to be wool. Blah! It ended up as garbage because everyone knows that acrylic won’t felt. 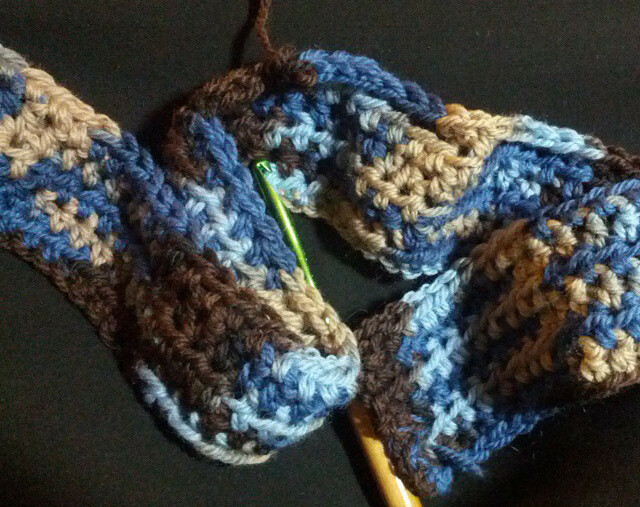 Oh, and knitters have the same issue with variegated yarn pooling like that, too. I personally look for yarn with long stings of color before changing, but I know some people like the almost speckled look of a shorter length of color change. Oh no! That must have been so frustrating! Felting does seem to eat up a lot of yarn. I wanted to give it a try since I got the skeins on clearance for $2. I need to look around for longer variegation and try that soon. Thanks for the suggestion.